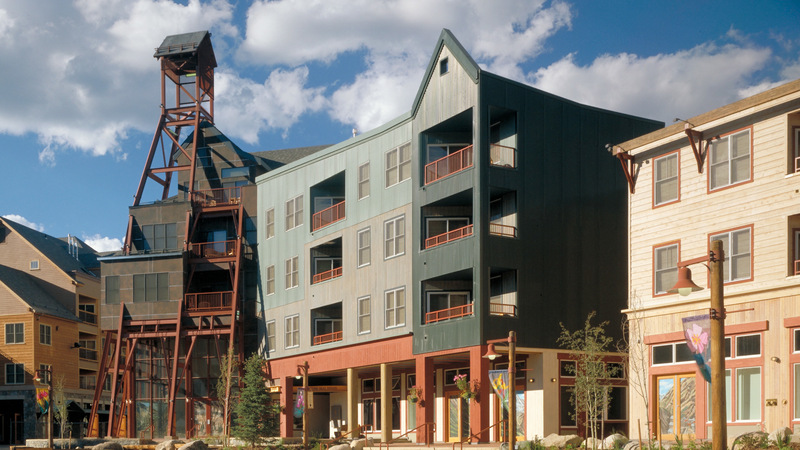 River Run was Intrawest's first project in the U.S. and the first phase of an extensive expansion for Keystone Resort. CCY was responsible for the first of three buildings; Jackpine and Blackbear Lodges, and Silver Mill. The architecture reflects the history of its valley while capturing the energy of its future. Rather than replicate any one building type, the past is used as a starting point. Familiar and traditional elements are reinterpreted and expressed in a fresh, unconventional manner.